A popular expression as of late is that “the nature of finance is changing”. Certainly it seems the world is coming up with new and creative ways for those with excess savings to loan money or invest capital into all the different types of enterprise; and modern technology is doing an amazing job at facilitating such new capabilities. There is also no question that the overall volume of credit issued has been steadily increasing along with the world population. However, loans and credit have been an integral part of society since ancient times. 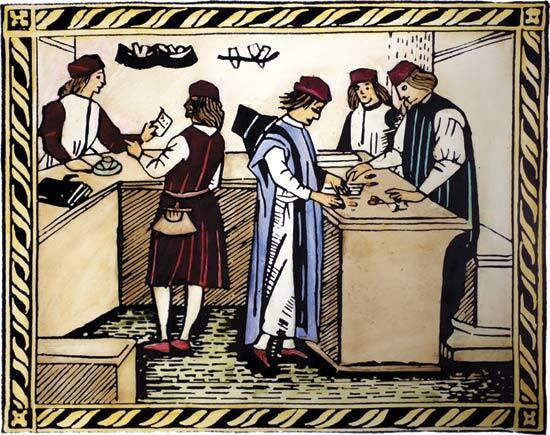 In fact, the concept of “credit” predates industry, banking, and even widespread coinage. One could propose that if a common farmer, at the birth of the agricultural revolution over 10,000 years ago, were to lend some seeds to a family member and then expect back more in return come the harvest, he would be partaking in a system of credit with an agreed rate of interest; thousands of years before what we today know as numbers were even invented. However, a more proper example would need to come from recorded history. Around 1,800 BC, King Hammurabi of the first dynasty of Babylonia provided his kingdom with some of the first known codified laws. Among the highest ranking provisions were regulations for creditors and debtors. For example, if someone were to loan grain to another, the maximum rate of interest that could be charged was 33% per annum; and the maximum rate of interest for amounts of silver loaned to another was 20% per annum. All loans required documentation witnessed by officials, and getting caught charging higher than allowed interest was heavily penalized. In most cases the main principal on the loan would not have to be paid back. Land and assets could be used as collateral for debts; as could family members or even your own person. However, selling yourself into slavery for a debt was limited to three years. Move forward twelve hundred years to ancient Greece and the laws of Solon. Widespread personal slavery for debt and an economic crisis in Athens necessitated drastic reforms to the laws pertaining to credit. Limits on annual rates of interest were completely done away with. However, selling the self into slavery for any period of time to settle a debt was outlawed. Two centuries later under the Roman Empire, the laws pertaining to credit swung back. Personal slavery for debt was again allowed, but this time with it came heavily regulated protections for slaves. 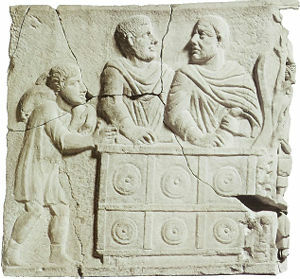 Another situation involving excessive debt lead to the legal limits for interest rates also being reinstated, at a maximum of 8.3% per annum in the year 450 BC. For over a thousand years the western world then saw any charging of interest come under attack from theologians and clergy with accusations of the sin of usury. The Capitularies of Charlemagne in 800AD provide us a record in time whereby interest on loans were outright forbidden. It was not until the Protestant Reformation in northern Europe that credit and interest fully returned to society. England followed the suit of Greece with no limits on interest, allowing creditors to be free to charge as much or as little per annum as appropriate, depending on the creditworthiness of the debtor and the unique aspects of the loan. Across the Atlantic Ocean, the colonies that were to become the United States were establishing systems that would ultimately take form to resemble the Roman attitude towards finance; instituting usury laws and strict legal limits for maximum interest rates per year. History is not without its fair share of oddities when it comes to loans, credit ratings, and interest rates. In Babylonia some priests were known to lend silver at an interest rate of 6% per annum, which at that time was so low it was considered similar to an act of charity. The famous Brutus of Caesar’s era engaged in some profiteering by lending money to the City of Salamis at 48% interest, while the legal limit back in Rome at the time only allowed for 12%. Cicero was reportedly not happy with this practice. The political and philosophical aspects of history’s predominant characters are taught in great detail, but it must not be forgotten that what they did with their money formed a large part of their daily activities. The middle ages also provided extremes in lending practices, even in overlapping time periods. Government bonds in the 14th century for the Republic of Venice yielded just over 5% per annum; while in the same time period Austria was borrowing at 80%. A hundred years later Charles VIII of France required financing for war, paying up to 100% interest on loans from Italy to do so; meanwhile, merchants in Italy were borrowing at a mere 5 to 10%. Two centuries later, Holland refinanced 8% interest bearing government debt with 3.75% loans from Dutch merchants that acquired their financing for a mere 1.75% interest; at the same time the Spanish government had to pay 40% interest on its short term financing. Today is no different, and a world of possibilities awaits in the credit market. While the US Federal Funds rate hovers near 0%, and central banks around the world are near zero or even yield negative interest; the open market for loans and other forms of credit continue to be creative. Banks will loan at any range of rates for mortgages depending on creditworthiness and security of the home value. The advent of P2P lending has turned the layperson retail investor into a loan officer or even an investment banker with the ability to issue the private loan and then resell it in pieces to other investors, and “payday” loans continue to emerge, charging in some cases up to 25% per week, theoretically equal to 1300% per year. (though these payday loans pale in comparison to a famous usurer of Theophrastus in ancient Athens, who charged a reported 25% interest per day, or 9125% effective interest per year). The plebeians and patricians of the Roman republic were just as divided about rates of interest as modern day economists. Some preferred the rates to be high, some insisted the economy is better off with interest being low. Nowadays the question on many headlines is: when will the US Federal Reserve raise interest rates, and in what manner will they do so? In today’s hyperconnected economy, managers and policymakers alike must take into account these changes in interest rates, and, for example, how disparities in interest rates between countries and currencies could affect exchange rates, and in turn effect international trade profitability and balance of payments. Perusing publicly available data on interest rates provided by the Federal Reserve would lead one to believe that we are in absolutely unique times. 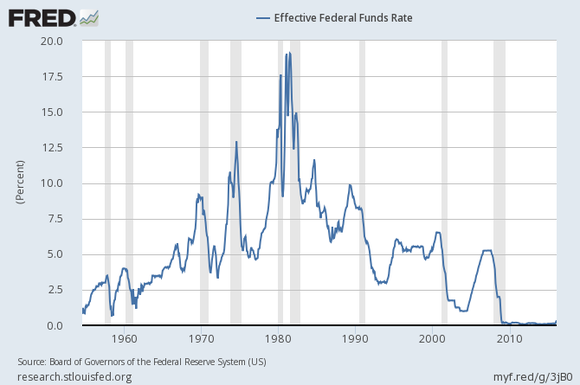 The graph below appears to indicate that we are in the longest period of time with low-to-zero interest rates. However, this graph shows only the last 60 years, and the data for only one type of loan. As demonstrated, the history of credit reaches far into antiquity, and the types of loans available are as diverse and exotic as the different species of insect in the Amazon. History shows that society has gone through similar periods of low interest rate environments; whether it is through cyclical market forces, the clergy’s influence championing the fight against usury, or a central bank setting overnight interbank rates at rock-bottom levels. In these examples, it could be argued that although the loans were issued at low or zero interest, society and the economy in some way pays a price. Also in both examples in time, there have congruently been entire ecosystems of credit operating in the open markets, and in shadows. Credit is an essential part of society. A farmer in his first season will need to borrow his first seeds. An entrepreneur will require capital to get a business going. Nothing is free; and access to money is no different. There will always be people that require loans, and there will always be price for these loans. A shrewd investor can find profit from both sides of this equation. If the risk adjusted return is expected to be more than the interest and payment on the loan; an investor can sail into the uncharted waters and hope to make a profit. On the other hand, if you prefer to receive a fixed rate of a return and the borrower is not likely to default, you are free to receive the interest income and let the counterparty utilize your excess capital for the chance to build something new. When did loans start? How has credit changed? Why is it important?